The Siri Remote that comes with the Apple TV certainly has its critics. Some users find the glass Touch surface over-sensitive in the way it registers directional taps and swipes, which can make navigating onscreen menus a slalom-like experience where you're constantly having to correct for overshoot. Not only that, the minimalist design of the Siri Remote isn't very tactile and there's no button backlighting, which means once you've dimmed the lights it's almost impossible to know whether you're even holding it the right way round. Thankfully, there are alternative (and easier) ways to control your Apple TV. One solution is to use your iPhone, which we've written about previously. Another is to use an Apple Watch. Here's how it's done. The steps below assume your Apple Watch is running watchOS 5 and that your Apple TV has tvOS 12 installed. Before you start, make sure your Apple TV and Apple Watch are on the same Wi-Fi network. To do this on Apple TV, launch the Settings app and navigate to Network -> Wi-Fi. Similarly on Apple Watch, launch the Settings app and tap Wi-Fi. Make sure you're in the same room as your Apple TV, your Apple TV is on, and you can see the screen on your TV output. 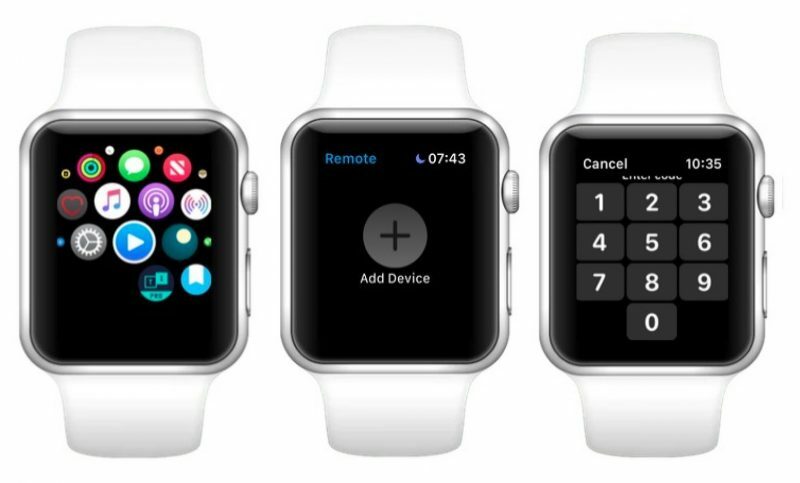 On your Apple Watch, launch the Remote app. On your Apple Watch, enter the passcode that appears on your Apple TV's display. 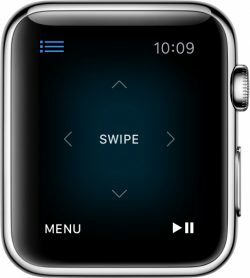 You should now see the Remote interface for controlling your Apple TV on your Apple Watch screen. Tap to choose the selected item. Tap Menu to go back. Touch and hold Menu to return to the Home screen. Swipe left or right to scrub through media. If you're anything like us, you'll find that swiping your Apple Watch to navigate Apple TV menus is much easier than using the Siri Remote – and you'll be able to see what you're doing in the dark. Just remember that as long as your Apple TV is on, you can return to the remote interface on your Apple Watch at any time simply by launching the Remote app. 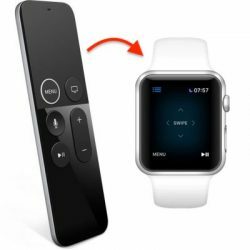 ANYTHING is better than the stock Apple remote, even a potato with buttons. Did the intern not test it in a darkened room? I appreciate the minimalism but the current remote has horrible ergonomics. A classic example of aesthetics before function. I’m just here to say that I like the current remote. The raised ring was enough of a change that I don’t have trouble orienting the device. I love this feature! Really nice integration. i wish there was some automatic "now playing" icon on the watch face like for the iPhone. would make it much easier and faster to access the remote. This is a terrible integration, imo. Why no Apple TV Remote app like on iOS? With Siri and volume control? I agree. I’ve been waiting for Apple to do ANYTHING with the watch remote app ever since I got my AW in 2016. It’s a complete and utter hot mess. Terrible media controls, the swipe is much harder to use than a physical remote or the pad on your phone. Play/pause is insanely tiny. The now playing, specifically for music, is hidden behind a bloody blur! You can’t see the album art of what’s playing for no reason. At all. There’s zero logic that I’ve seen why the watch remote doesn’t emulate at least a portion of what the iPhone/iPad apps do. This remote is built on and focused on the 3rd generation ATV and it’s never been updated. It’s virtually the same thing if not exactly the same. So if you want to basically use the old silver ATV remote, the watch will be fine I guess though it requires you to respect the bloody ATV far too often if you have more than one on you’re home network. But for anyone wanting to actually get a good experience, just whip out your phone. There’s a good chance it’s right next to you anyway. And Apple, DO something with this abandoned watch app. Maybe no one uses it and that’s why you haven’t updated it, but maybe if it wasn’t so utterly bare bones more people WOULD use it. Thanks for the article. Just paired my watch and now real couch potato.